DM Metalloys Pvt. Ltd. leading manufacturer, exporter and supplier of stainless steel NO.4 finish in 304/304l/316/316l coils. No 4 finish stainless steel is the mainstay of the light fabrication industry. The easiest of the appearances to maintain, No 4 finish is used for work surfaces, bannisters and where appearance is important. A 'No 4' surface is shaped by cutting the surface with abrasive belts to remove a very small amount of metal without affecting its thickness. This is a ground unidirectional finish obtained with 150 grit abrasive. It is not extremely reflective, but is a good general purpose finish on mechanisms which will suffer from fairly rough handling. DM Metalloys Pvt. 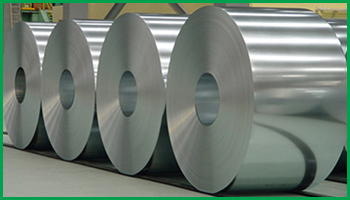 Ltd. Supplies Stainless Steel No.8 Finish 304, 304L, 316, 316L Coils in Faridabad, Gurgaon, Gurugram, Gaziabad, Noida, Lukhnow, Delhi, Delhi NCR, Ludhiana, Amritsar, Chandigarh, Jalandhar, Baddi, Punjab, Uttar Pradesh, Haryana, Mumbai, Pune, Sahibabad, Meerut, Manesar, Bhiwadi, Bawal, Neemrana, SIDCUL, Sonepat, Ambala, Mohali, Panchkula, Kapurthala, Bareli, Kanpur.